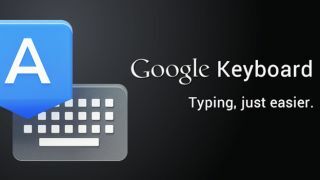 The free app, which had previously been the stock keyboard on the company's Nexus smartphones and tablets, is now available to all Android devices carrying Ice Cream Sandwich or Jelly Bean. Like the aforementioned third-party apps, Google's solution relies on using swiping between letters to form words rather than tapping a single key at a time. The app also brings automatic error correction, next word prediction and, for those for those who would rather not use their fingers at all, there's voice typing using the phone's microphone. Coming to Key Lime Pie? It is somewhat surprising that the launch of the app has taken until now, but nonetheless, it will come as a blow to the developers of Swype and SwiftKey, who have established the swipe-to-type feature with their own popular apps. It'll be interesting to see whether there's now a mass adoption of Google's own solution following its somewhat limited availability on Nexus devices. It now also seems likely that this will be the stock option whenever Google launches the long awaited new version of its Android OS dubbed Key Lime Pie. Stay tuned. Have you heard about the stock Android HTC One? If it sounds oh so vanilla (in a good way), check out the details.